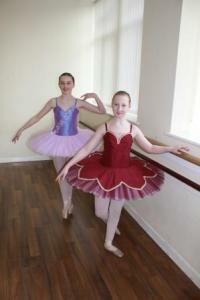 TALENTED ballet dancer Charlie Morris earned a place to appear in the English Youth Ballet. Haslingden High School student Charlie, 12, from Bacup, and Sarah Brooks, 13, from Greenmount, Bury, attend Dansworks Dance Academy. They auditioned at Stockport Plaza to appear with English Youth Ballet when their tour reaches that theatre in June, and they were some of the youngest in their audition which was for dancers aged 12-18. Charlie was also offered a place, but has decided not to take the offer due to also being offered a place on a Ballet Associates Scheme in Leeds and the rehearsals will clash with this important class. She attends classes at Dansworks six days a week and is also a cornet player with Haslingden High School Brass Band and plays with the school Wind Band. Principal at Dansworks Karen Roe said: “I am delighted with their success and they definitely both have a future in dance. “Charlie has been dancing here since she was eight and she has grown into a confident performer and really stands out when she is on stage.